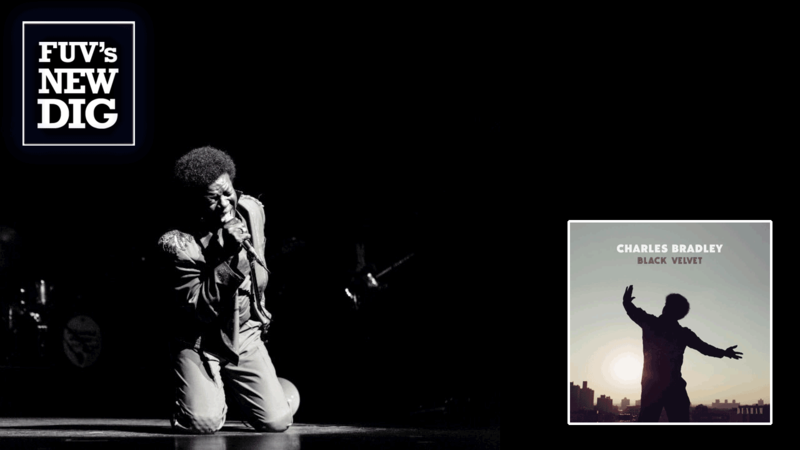 On September 23 of last year, the immensely talented singer Charles Bradley, dubbed the "Screaming Eagle of Soul," passed away at the age of 68 after a long battle with cancer. He was beloved by his Daptone label family; Bradley was a significant part of the record company's revivalist approach to soul, rhythm and blues and funk. So, to honor Bradley on the occasion of what would have been his 70th birthday on November 5, the Daptone imprint Dunham Records released Black Velvet, his fourth and final album. It's the first time that these ten tracks have appeared on a Bradley album. Making up this posthumous compilation are four previously unreleased songs, including an Menahan Street Band instrumental that Bradley was supposed to record a vocal for, but never did. There are also four tracks, previously available as non-album singles, as well as a Rodriguez cover, and two tracks from a limited edition EP. All three of Bradley’s albums are represented with an outtake from their respective sessions: “Can’t Fight The Feeling” (No Time For Dreaming), “I Feel A Change” (Victim Of Love), and "Fly Little Girl" (Changes). These three tracks make their first appearance on Black Velvet, as does the title track, a slow-burning instrumental which gives Menahan Street Band, Bradley's primary backing band, centerstage. The three covers on Black Velvet come from different musical spectrums. Detroit singer songwriter (Sixto) Rodriguez, who was the subject of the 2012 documentary film, “Searching For Sugar Man," was the beneficiary of a tribute single released by the Light In The Attic label and Bradley's cover of his song “Slip Away” is here. So is Neil Young’s “Heart Of Gold” and Nirvana’s “Stay Away,” written by Kurt Cobain. The Young and Cobain tracks were previously released as singles on the Dunham imprint via Daptone, coming out in 2011 and 2012 respectively. “Luv Jones,” a collaboration between Bradley and LaRose Jackson, was also a single in 2014. The two remaining songs, an electric version of "Victim of Love," which features the Sha La Das on vocals, and “(I Hope You Find) The Good Life," both originated from a limited edition EP; the latter track interpolates “The Way We Were," written by Alan and Marilyn Bergman and Marvin Hamlisch and originally sung by Barbara Streisand. Black Velvet was lovingly assembled by Dunham Records label head Tommy “TNT” Brenneck, Bradley’s producer and co-writer. He is also the guitarist in both Menahan Street Band, which appears frequently on this album, and the Budos Band. Bradley, who was a frequent guest at WFUV too, never took his well-earned triumph, after traveling a long, difficult road, for granted. The Gainesville, Florida native moved to Brooklyn as a young boy. He trained to be a chef and spent many years as a cook in Maine, before moving on and eventually settling in California. On the West coast, Bradley's long affinity for the music of James Brown led to his decades-long gig fronting a Brown tribute act, using monikers like the "Screaming Eagle of Soul" or "Black Velvet." By the mid-Nineties, he brought his act back to New York City and came to the attention of Daptone Records' Gabriel Roth, better known as Bosco Mann. Bradley's first two-part single, "Take It As It Come," a collaboration with Sugarman and Co., was released in 2002. Over the course of the next nine years, Bradley released singles accompanied by the Bullets, Menahan Street Band, the Gospel Queens, the Budos Band, and his own solo songs. In his 60s, he released three albums for Dunham and Daptone: No Time For Dreaming (2011), Victim Of Love (2013) and Changes (2016). While on tour promoting his third album, Bradley fell ill with cancer and passed away in 2017. Black Velvet is a fitting coda to Bradley's exquisite artistry; he was a special individual whose late-in-life fame and success was one of music's more uplifting stories. On this final collection, his soulful growl and tender toughness take flight one last time. His voice will be missed.